No, this is not a blog post about nasal congestion. It’s about the amazing science and artistry of taxidermy. Taxidermy is the science of preparing and mounting dead animals for display and research. On Wednesdays, a wonderful group of volunteers comes to Queensland Museum South Bank to help prepare specimens as study skins for the research collection. 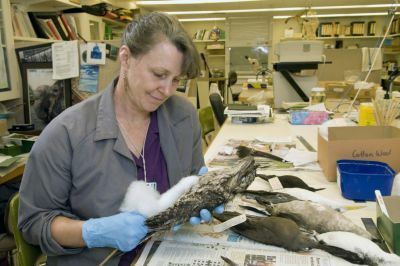 This group is led by Heather Janetzki, our Collections Manager for mammals and birds. Ali Douglas and Todd Knight from our exhibition construction team produce specimen mounts for display. Firstly the animal is skinned. Preserving chemicals may be applied to the skin or the skin tanned. It’s then mounted on a wooden or wire manikin, or a polyurethane foam animal mould is used. Glass eyes for these mounts are then added. The final result is a very life-like preserved specimen of the original animal. Some taxidermy specimens are available to borrow from Queensland Museum Loans. See the Biodiversity section in the downloadable catalogue. 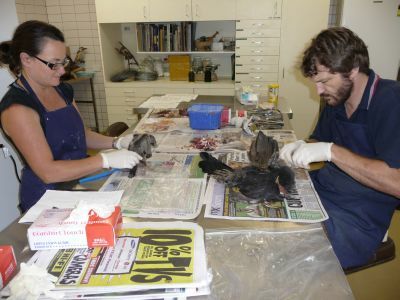 More information about taxidermy can be found in the Behind the Scenes section of the Queensland Museum website. A small two case exhibit opened on Friday 27th May called ‘100 years of fossils’ which is located near the entrance of the Queensland Museum South Bank (QMSB) on Level 2. The display marks the 100 year anniversary of the collection of the first fossil into the Museum’s collection. 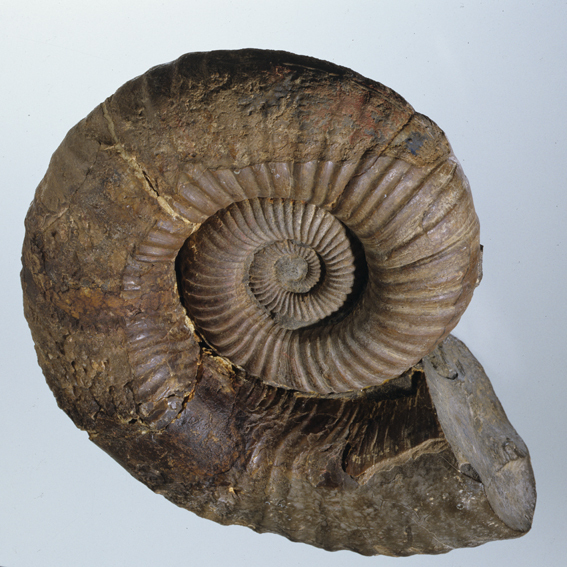 The display was compiled by the Geosciences team and includes fossils similar to this photo of an ammonite from the main collection which is held at Hendra. Teachers who are becoming familiar with the requirements of the new Australian Curriculum for science may know that the ‘theory of evolution by natural selection’ will be taught in Year 10. 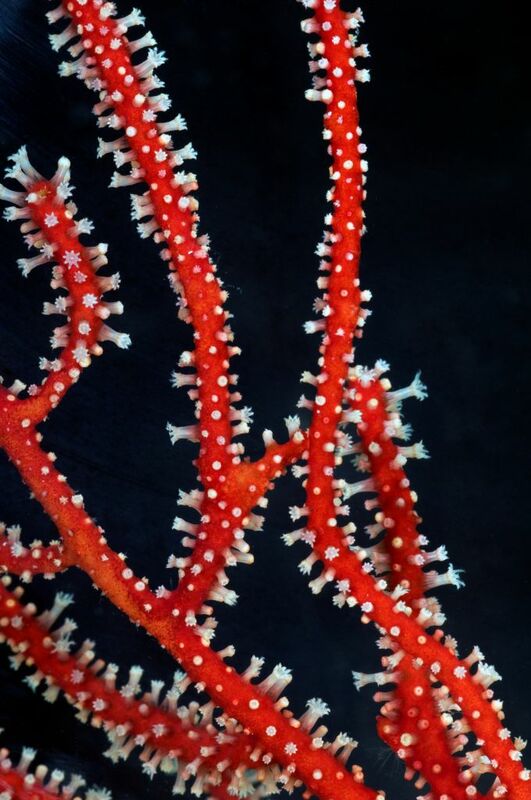 Another new exhibition on Level 2 is called ‘Coral Reef Biodiversity’ and will appeal to teachers (and parents) of pupils in Year 6 who are studying Biological Sciences. Students will be expected to know that “the growth and survival of living things are affected by the physical conditions of their environment”. 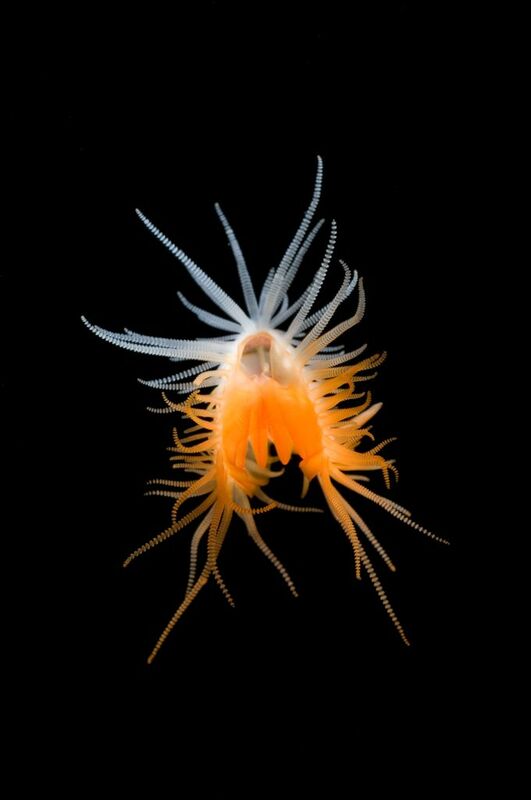 This photographic exhibition demonstrates in brilliant colour the diversity and complexity of a wide range of unique marine animals. The marine organisms below are a wonderful example of the biodiversity found on coral reefs, captured in their full glory. Coral reefs are known as ‘canaries of the sea’ as they are highly susceptible to changes in their environment. Bleaching episodes are not uncommon. 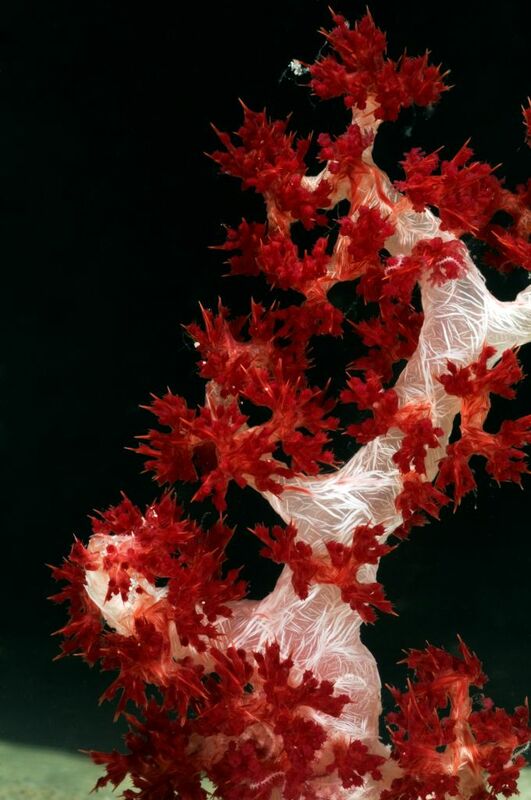 The latest research indicates that coral reefs contain up to 50% of the world’s biodiversity. As such they are extremely important for marine scientists to understand and for humanity to conserve. Our AIPP award winning museum professional photographer, Gary Cranitch, took the marine photographs on Ningaloo Reef in Western Australia and on Lizard and Heron Islands which are adjacent to the Great Barrier Reef in Queensland. This was part of a 10 year CReefs project in collaboration with The Institute of Marine Science. The Queensland Museum has over 300,000 images in its collection and owns the Intellectual Property rights. However, many international publications have received permission to use these marine photographs which can also be purchased on-line by individuals.